Good painting offers a mysterious pleasure that one cannot quite put his finger on because the painter, through honesty and hard work, has actually painted his own personality in a familiar subject; and any person’s personality or character or soul, or whatever your word is for it, is something of an enigma. I came across the quote above early this morning and was intrigued. I understood and felt a kinship with the meaning of his words but didn’t recognize the name of the painter so I looked him up. The image at the top was the first image I found. This painting and a number of others made me wonder why I didn’t know anything about this guy. 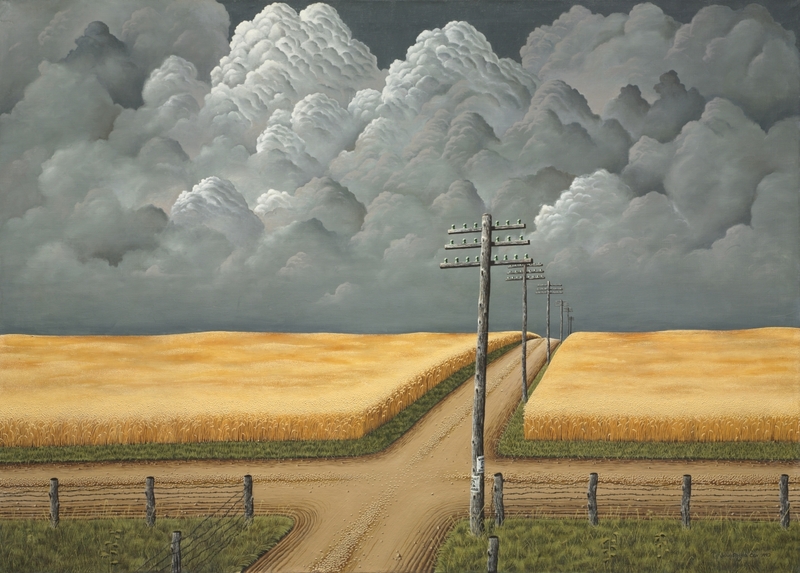 John Rogers Cox was born in Indiana in 1915 and spent a bit of his life in Chicago teaching at the Art Institute there. He later lived in New Orleans and the states of Washington and Kentucky, where he died in 1990. 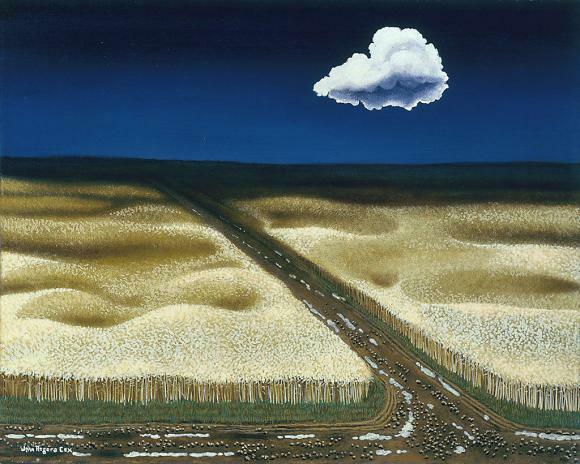 He painted very slowly and, as a result, didn’t paint many pieces during his career. 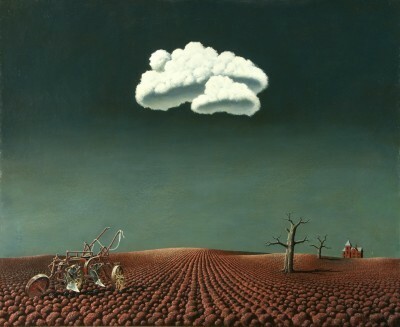 The number of pieces by Cox that are known to exist is somewhere in the range of 20 paintings, although I am not sure that is a truly accurate number. This limited production probably explains his lack of widespread recognition. The painting at the top is his most famous work. 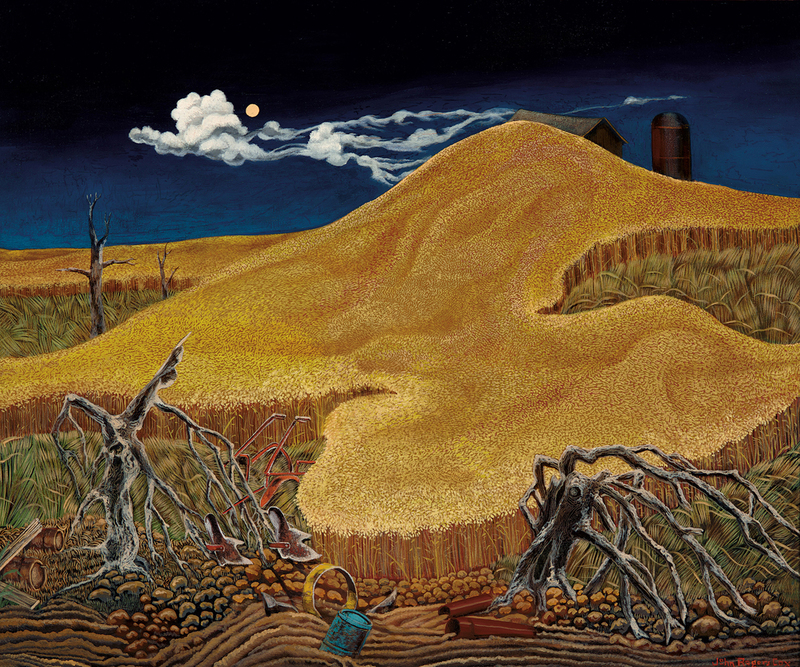 It is titled Gray and Gold and has been at the Cleveland Museum of Art since 1943. It was painted in the aftermath of Pearl Harbor and the entry of the US into World War II. I think the symbolism in it is pretty evident so I won’t go into it here. But even without the knowledge of that symbolism, it’s a pretty potent piece. That can be said of most of his other paintings, as well. At least those you can find with decent available images. 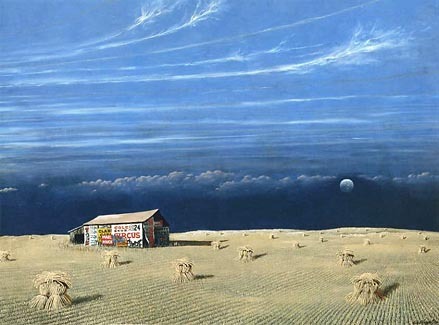 I love the relationship he creates in his work between the vast sky and the landscape. There is an elegant simplicity that really captivates me. Coming across this painter made my morning. 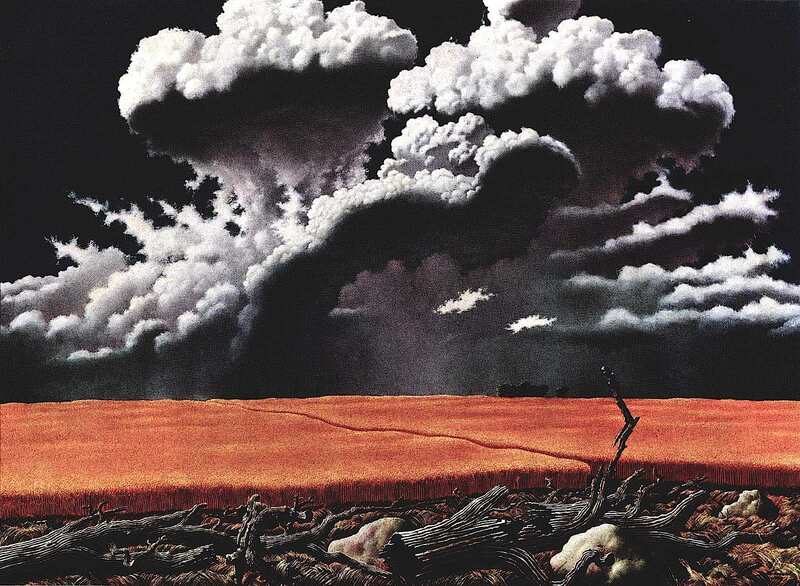 John Rogers Cox is another one of those expressive voices from the past that are still there if you only take the time to look.